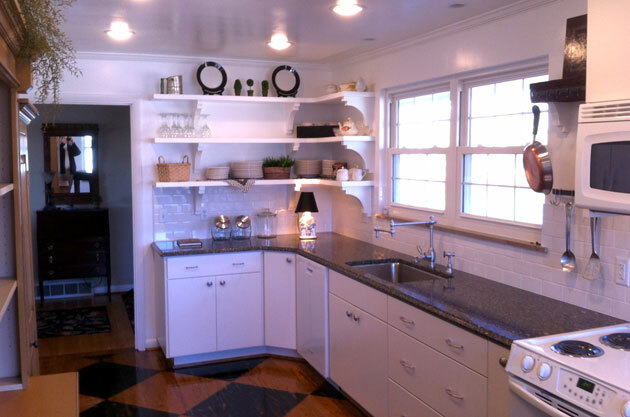 The Kitchen is the Heart of the Home — Remodel and Enjoy Years of Family Fun! It's a gathering place... the pulse of your family's activities and where memories are made. We can help figure out how to improve functionality. We will be there for all the design questions. But most of all, we will create a space that is welcoming and makes you and your family happy. Enjoy your kitchen now, and don't wait until the kids are gone or you're ready to sell. Kitchens so perfect, you’ll never want to leave! There are so many choices today, and so much information that it is easy to feel overwhelmed. You will probably only remodel 1-3 times in a lifetime — why not trust someone to guide you who does remodeling every day for the past 30 years? At Thompson Price we'll take the time you need to understand value and quality, and how to incorporate those differences in a comprehensive kitchen plan. In this short video TJ Price, one of our lead designers, shows you what to look for in a quality kitchen cabinet. You might be surprised where to look for value and that you can get "custom" features at affordable prices. And as always, we design to use all your space and provide function as well as a beautiful finish. Our design team will show you how the TP approach is different and help you understand how to build a project plan. We'll help you ask the right questions, explain differences in manufacturing standards, reduce your shopping time and try to make this fun!